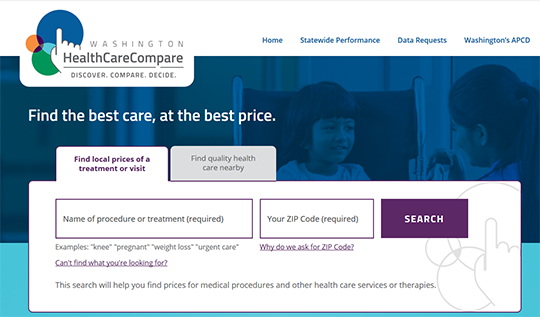 The Washington HealthCareCompare website contains information on health care providers and compares the cost and quality of medical care and services. The site provides median prices and price ranges for more than 80 medical procedures and users can view estimated costs by facility in the state of Washington. The site also includes quality data summarized at several levels, including state, accountable health community, county, hospital, and primary care practice.